Window to Spain is a free 6-month ‘summer cinema’ experience at the forthcoming Big Screen Plaza in Chelsea, New York. Bringing a diverse selection of the best in Spanish contemporary art and film, Window to Spain turns this 30 ft by 16 ft HD LED screen into a direct flight to Spain. The screenings will be preceded by a very special presentation by popular Spanish TV showman and comedian Andreu Buenafuente, from the successful late night show “Buenafuente”, in collaboration with his production company El Terrat. 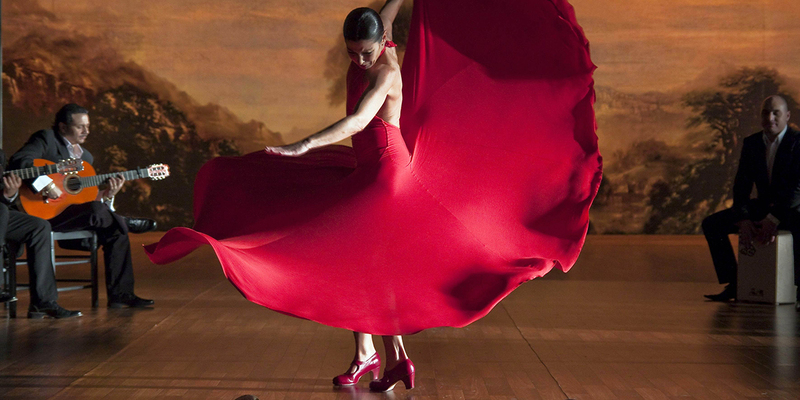 The series starts with a 2-day kick off on Friday, June 24th with live Flamenco music and dancing in the public plaza followed by the screening of Flamenco Flamenco by Carlos Saura. On June 25th, we present an eclectic selection of Spanish shorts, animation and experimental pieces, music videos, videoart and a special program from Region 0. The Bar Basque hosts a short afternoon reception. Monthly screening events will continue through December 2011 and include award-winning films and documentaries. Join us for our CLOSING RECEPTION on Saturday, December 10. SPECIAL EVENT with Andreu Buenafuente “showman in motion”, Saturday, September 24. 4:00 pm Murals, by Pilar Pérez Solano. Presented by Joan Miró Foundation. Melophase, The Space in Between, 2010, 5min. Las Batallitas del Abuelo, Néstor Fernández, 2011, 30 sec. Día Nublado con Posibilidad de Tormenta, Néstor Fernández, 2010, 46 sec. Instrucciones para Volar, Néstor Fernández, 2011, 50 sec. Migrópolis, Karolina Villarraga, 2011, 8 min. El Meu Amic Amaruk, Néstor F., Àlex Murrull and Manel Bocero, 2007, 3min. Murals, Pilar Pérez Solano, 2011, 60 min. – Shown in partnership with the Joan Miro Foundation.